Media relationships can be formed in dozens of ways: e-mail exchanges, phone calls, social media conversations and more. But, the strongest bond is undoubtedly made during in-person interactions. For Buffalo.Agency, that’s 99% of the reason to conduct a media tour. I’ll tell you the other 1% at the end of this post. Planning and executing editorial desksides in New York City for our 60-plus partners is a tactic we often employ, particularly when a company announcement, product launch or timely industry news is on the horizon. To best describe how we perform media tours, below is an example from a few weeks ago with Crown & Caliber, one of our partners, the leading online platform for buying and selling pre-owned luxury watches. For Crown & Caliber, it was to discuss a timely shift in the watch industry. Large brands are now officially recognizing the secondhand market isn’t just here to stay, but it will be a major player moving forward. This was exemplified by the recent news of Richemont purchasing Watchfinder, one of the UK’s largest platforms for buying and selling pre-owned timepieces. Once your “why” is defined, it’s time to identify a date and media outlets who may be interested in meeting. When it comes to outreaching to media, we recommend leveraging your colleague’s relationships. For example, if your teammate David knows media member “X” well, then have him contact that individual on your behalf. Next, make your outreach informal and casual but professional. Avoid the hard sell and tell the media enough to get them interested. As appointments are secured, assemble a calendar of meetings and plan your day. It’s important to allow for enough time to travel from meeting to meeting, so map out your day before locking in any appointments to ensure you have a buffer for each one. Set your client up for success by preparing a briefing packet including items such as recent relevant stories, interest indicated during outreach and discussion topics that fit each reporter’s beat. Setting the stage for each appointment is essential to the success of the conversation. Remember you’re the public relations professional and your client is the expert in their field. 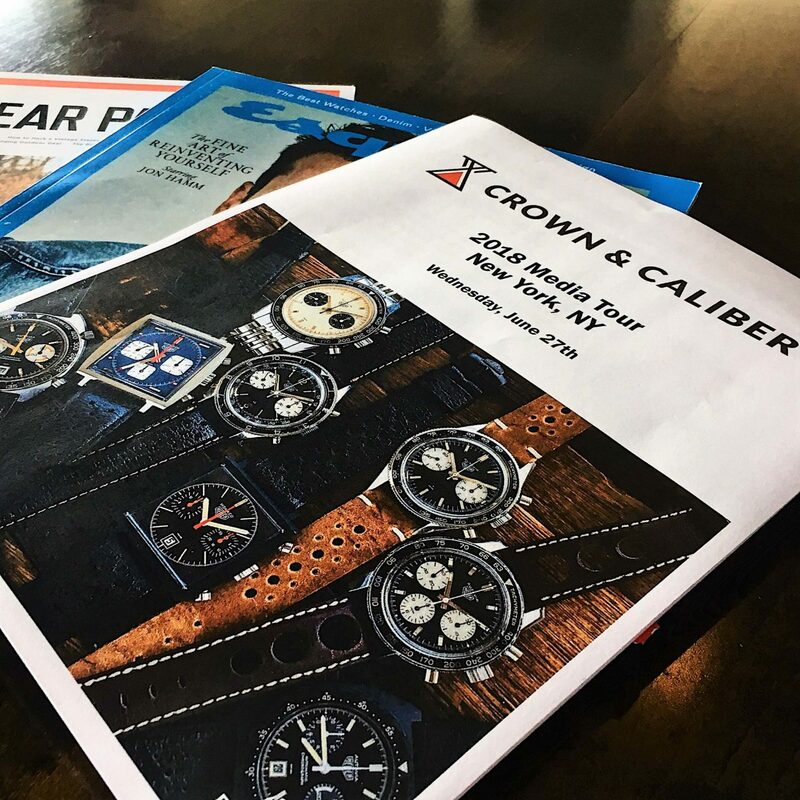 For our Crown & Caliber meetings, we would begin each conversation with a thank you to the media for taking the time out of their busy day and to remind them why we’re here, what we’d like to discuss and that we’re happy to answer any questions or discuss any topics they have an interest in. Let the conversation flow naturally and take notes on action items as well as hot discussion topics. Allow your client to be fully present during the meeting by taking notes and encouraging them to follow the organic flow of the conversation. It is important to keep an eye on the clock to ensure you have enough time to get to your next appointment. When the conversation finishes, recap your action items with the reporter. Closing the loop is the most important piece to the publicity puzzle. Once all your follow-up is done and the publicity opportunities that resulted from your appointments have been converted, continue to build the relationship with each media member. You shouldn’t only reach out to them when you want something. Just think of it this way, would you be friendly with someone who only spoke to you when they needed a favor? P.S. The other 1% of why you should conduct a NYC media tour? The $1 slices of pizza on every corner.